Given that we are at war and that war may find any one of us at amy time, anywhere we normally go during the day or night, there are a few extra things I carry in my truck at all times. Among my wartime everyday carry (WEDC) in my vehicle is the Haley Strategic Disruptive Environments 762 heavy chest rig. In this case, it is not “heavy,” but loaded up with M4 magazines (which fit just fine) for my .300BLK rifle that is also with me at all times in the truck. 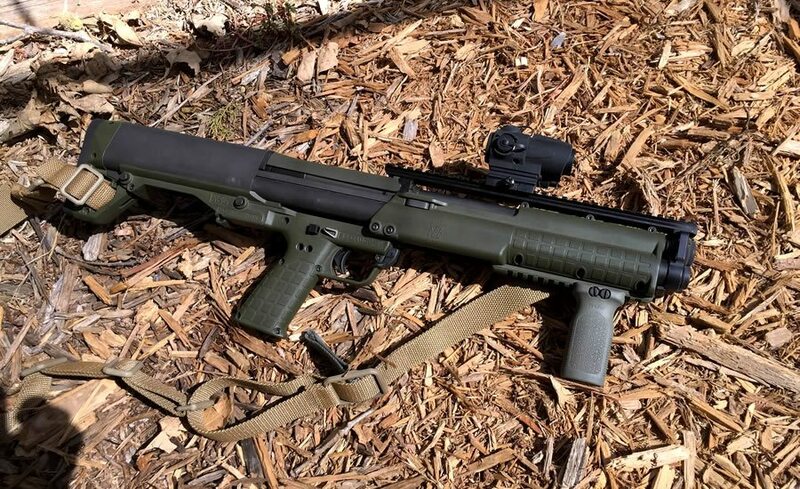 I’ve been shooting the KSG 12ga shotgun lately and just published my review over at the Eagle Gun Range blog. Hope you enjoy! Picked up a well-appointed pack this week. The Dragon Egg MK II has features that make it useful as a daily pack, bugout pack, or as an assault pack. Can’t wait to get it and put it through its paces, though I have an assignment in mind for this one. Had a great morning at the rifle range with my buds J.T. and Patrick. I ran my Remington 700P .300 WinMag and my AR10 at 50, 100, and 200 yards. Fun times. Picked up this little gem this week. The Kershaw Shuffle II is a small and light folder for light everyday carry. Love the blade profile. Thumb-stud open. Been shooting the Kel-Tek KSG lately for an upcoming review. Here’s how it compares to my “home defense” Mossberg 500A. That’s a Sitemark Wolverine red dot optic on the KSG. Diggin’ it. KSG review later this month. Got the Kel-Tek KSG shotgun today for testing and evaluation. I’ll be shooting it for the next couple of weeks and will publish a review later this month. Can’t wait to get out on the range with it tomorrow!